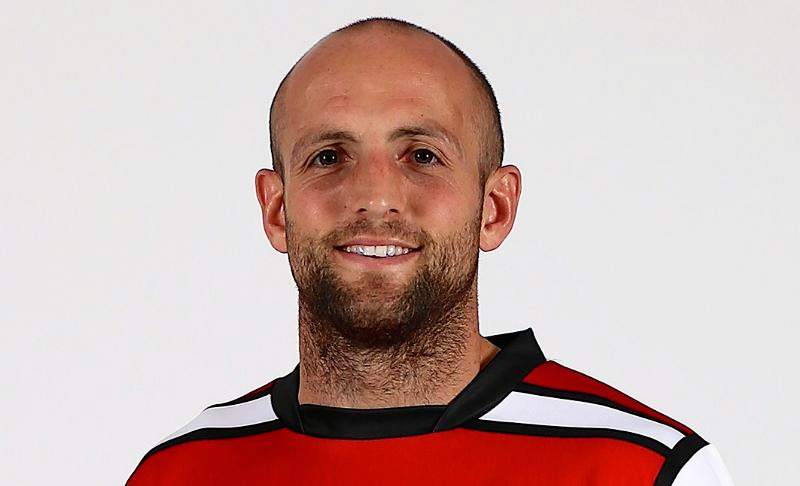 Charlie Sharples is one of those players who, in the nicest possible way, seems to have been around for a long time. But he’s only 29 – and a young 29 at that because he’s only just had his birthday – and that means he has plenty more years left at the top level of the game. That’s great news for Gloucester and their fans of course and it’s great news for Sharples himself who is very much hoping for an injury-free season after the stop-start nature of his last campaign. Injuries to his hamstring, finger and then his hamstring again meant he was unable to get out on the pitch in front of the Kingsholm faithful as much as he would have liked in 2017/18. And it’s the thought of running out onto Gloucester’s pitch that is one of the things that has driven Sharples on in pre-season training over the past few weeks. He’s done it many times before – he’s played more that 240 games for the club – but this season it will feel just that bit different because he will be running out onto the club’s spanking new ‘HERO’ hybrid surface which is a mixture of natural grass and artificial grass fibres pitch and which was installed this summer. “Yes, I’m very excited about playing on the new pitch,” said the four-times capped England wing. “Kingsholm has always had a good pitch but for obvious reasons it wasn’t always so good in the middle of the winter. That expansive style of play introduced by head coach Johan Ackermann was seen to great effect for large parts of last season and the arrival of England fly-half Danny Cipriani from Wasps has only heightened the level of anticipation at Kingsholm ahead of the new season. “I don’t like setting targets,” admitted Sharples, “but one thing I will say is that this is a very exciting time for Gloucester fans. Those new signings include a host of players from South Africa – Franco Mostert, Jaco Kriel, Franco Marais, Ruan Dreyer and Gerbrandt Grobler – as well as former England back Matt Banahan, but it is the arrival of Cipriani that has captured the imagination of many fans. “He’s an exciting player,” said Sharples. “He showed exactly what he’ll bring us when he played for Wasps last season and now he’s back playing for England. Sharples is also desperate to play – particularly after the frustrations of what was his testimonial season – and while he sees himself primarily as a winger he’s happy to play at full-back as well if it means a place in the starting line-up. That’s a role he’s fulfilled in the past, a past that dates back all the way to the 2007/08 season when he made his debut for Gloucester as a replacement against London Irish. That may or may not be true but Sharples is still able to give everyone else in the Gloucester squad a run for their money when it comes to pure speed. May is now with Leicester of course and neither he nor Sharples have any intention of slowing down anytime soon. “I feel as though I’ve got plenty of rugby left in me,” added Sharples, “I’m certainly not ready to give up just yet. I’ve still got a big part to play and I don’t think I’ve peaked as a player. And Gloucester appear in very good shape as well despite the disappointing end to last season which saw them lose heavily to Bath and Saracens before missing out in the European Challenge Cup final to Cardiff Blues. They still finished seventh in the Premiership and it was a solid seventh because for much of the season they were in the top half of the table. “We almost peaked too early,” said Sharples. “We had some really good performances around Christmas and were in the top four for a number of weeks. They certainly did and this season they have the added bonus of competing in the Champions Cup. That will provide a stern test, of course, especially as they are in the same group as Munster, Exeter Chiefs and Castres. One thing you can be sure of is that Sharples will be totally prepared for all the challenges that lie ahead whether they be domestic or in Europe. You don’t get to play approaching 250 games for the club and score 80 tries if you’re not. And while Sharples remains totally focused on his rugby, he has got one eye on the future – a time when he is no longer able to play the great game that is rugby. He has already started preparing for that future by linking up with Team-i – a company who have launched a brand new series of training courses for businesses. 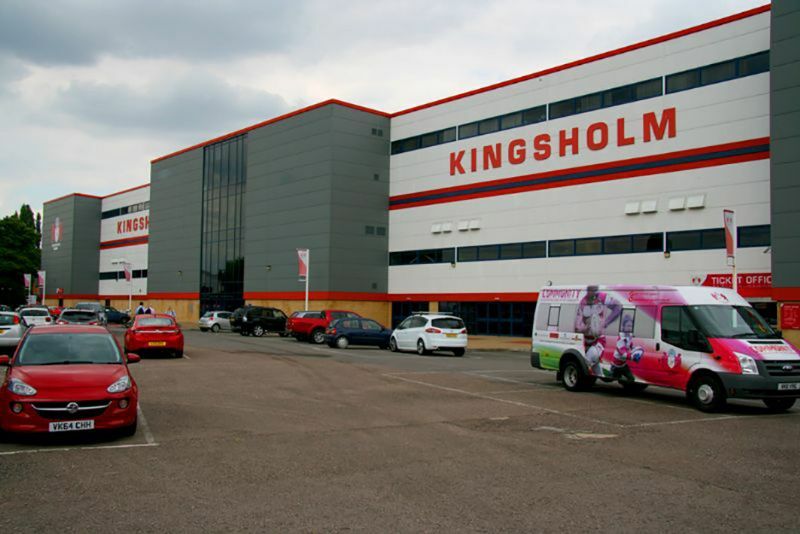 The company is the brainchild of Gloucestershire-based Tim Thurston and Exeter back row Kai Horstmann and the training courses give an insight into the teamwork and planning strategies of professional rugby players and how they can be applied to the workplace. The training programme – called Team-i Training – features interactive and fun classroom modules, coupled with keynote appearances from professional rugby players on the courses, which is where Sharples comes in. Sharples helps to coach and develop delegates as part of their coursework and he said: “Rugby is, I believe, the ultimate team sport and it has been great to work with Team-i to demonstrate to businesses how the skills and experience I have learned as a player can be transcended into the workplace. He’s obviously good at it too which always helps. Eventually, when he’s no longer playing rugby, he wants to be a financial adviser but that’s a good while off yet. For now he’s very much enjoying his rugby and his involvement with Team-i.